(Newser) – Comedian Jon Stewart has returned to the Daily Show, where he made a push to renew a law that provides health benefits for first responders who became ill after the 9/11 attacks. 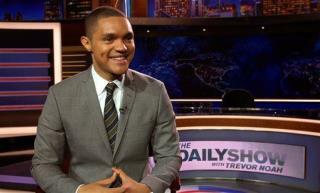 On the Daily Show With Trevor Noah Monday night, Stewart, as a field correspondent for a segment, urged, badgered, and exhorted Congress, especially Senate Majority Leader Mitch McConnell, to pass the Zadroga Act. The law expired Oct. 1 but has enough funding to last another year. Proponents of the law are seeking its permanent extension, but some Republicans have opposed that, saying they want a chance to periodically review it and make sure it's operating soundly. Unless Jon will stand tall for Dr. Judy Wood's textbook upon exactly what happened on 9/11, he can continue to spout the official distractions that preclude accountability for the government players that produced this disaster upon Americans and for the ilk of himself that forever cover up the players that must have justice served.